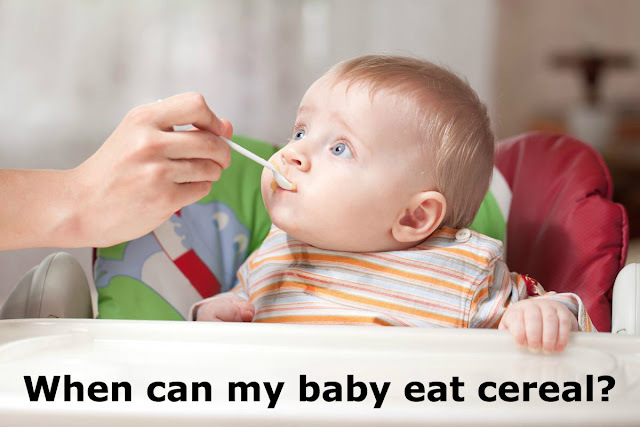 When can my baby eat cereal? To eat, babies need good head and neck control and should be able to sit up in a high chair, which usually doesn't happen until they're 4 to 6 months old. Also, if you try to feed your son solids before this age, you may notice that he pushes food out of his mouth just as quickly as you put it in.